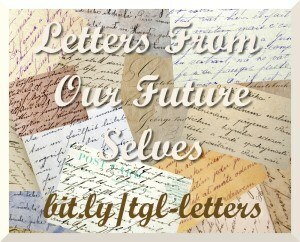 In Letters From Our Future Selves I’m inviting authors and bloggers to share the advice they think their twenty years older self would give them, giving each writer an opportunity to reflect on what they hope to learn and achieve during the next two decades. I’m delighted to welcome my wonderful friend, Naomi Blackburn. Naomi is author of the fantastic online series The Author CEO, reviewer at A Book and a Review, and co-founder of the amazing Sisterhood of the Traveling Book group on Goodreads. What’s up, Chicky? It’s me. Naomi, age 65. Yep, you heard me right. It is Naomi, age 65. STOP CRINGING! Can you remember sitting in your room when you were 15 years old thinking how old you would be at the millennium and cringing when you figured you would be in your 30’s? I bet that is looking pretty good right now, huh? Can I just say that you have done good for yourself, girl? You are simply going to be thrilled with the Naomi of the future. Have you achieved everything that the girl of 15 wanted? Sorry, that is a negative, but that isn’t to say that you haven’t accomplished a lot for yourself. That also isn’t to say that you aren’t a happy camper. Life is good, Naomi. ALWAYS remember what Father Kane said! Life is too short to be taken so seriously. Thank God you took that one to heart! Gotta say you really were a Debbie Downer in your teen years with that stuff. Onto the second best thing ever to happen in your life, you and Pat are still going strong. Married for almost half a century (You’re cringing again, Naomi!) and they said it wouldn’t last! Pat is retired and has been for a bit. He loves every minute of it and you love that the stress isn’t there for him. 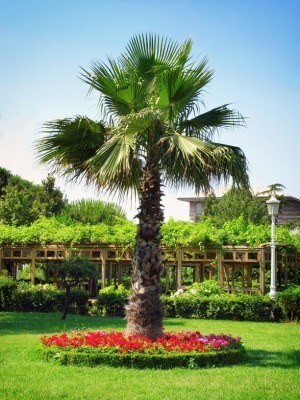 You guys finally have that palm tree in your backyard that you were ALWAYS complaining about and you NEVER have to see a nasty Chicago winter again. Bonus, Pat finally adjusted to living in a tropical setting. Be prepared for some complaining to get him there though. Second bonus, you are doing the island hopping in the Caribbean all the time, even considering buying a little place down there. You’re still diving away too! I knew that would make you smile. BTW…your career? That MBA FINALLY paid for itself. You are still working. Yep, you heard me right, you are still working. Let’s be real here, if we may, Naomi. You always knew you weren’t going to retire at the age of 65. You love working. You love EVERYTHING about it. Oh, before I forget, that whole writing thing…that worked out for you too. And you doubted yourself…shame on you! Here is the thing, Naomi. You never did recognize yourself for all you bring to the table. Even when numerous people told you so; you let the questions creep in. Now, keeping that ego in check is a good thing, but sometimes it can really kill ya…you know? Luckily by my age, you have figured that out. Anywho, it was good catching up with, Naomi. Please take care of yourself for my sake. Continue with the running and triathlon trainings. I see some marathons in your future. You can pick yourself up off the floor now, Naomi.